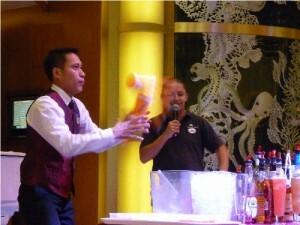 The British Isles makes a great anniversary cruise. We did this one for our 40th wedding anniversary and there were several other couples on board taking this cruise for their anniversaries too. 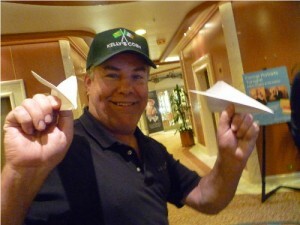 Wednesday, August 14th Delta flight departing 5:30pm. Since this was a long flight from the US we pay $99 each to upgrade to Economy Comfort seats which have more leg room. We think it was worth it, as this is a long flight. Suggestions: Rather than stay at a hotel at the airport, I would highly recommend either booking a hotel in London or going ahead with a trip down to Southhampton where the cruise line port is. 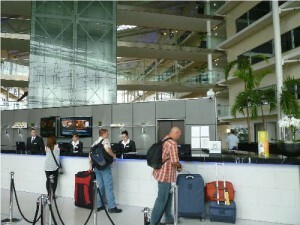 The hotel was nice as you can see in the photo to the left but we felt like we wanted to see and do more this first day. 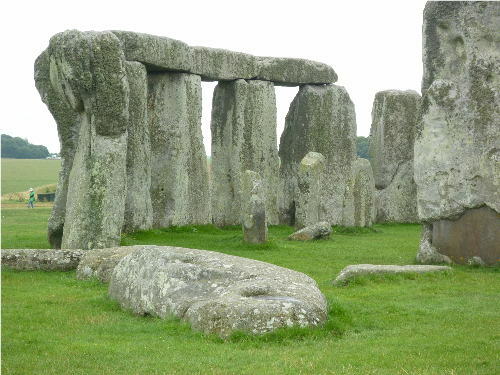 Friday, August 16th – Heathrow Tour to Southampton via Stonehenge leaving at 9:00am. Morning Transfer To Southampton Cruise Terminal via tour bus from our hotel with stop at Stonehenge. Rode through several small villages in the English countryside on the way to Stonehenge. Stonehenge was a thrill to visit. New visitors center being built at Stonehenge that will then take you to the site via transportation rather than the parking lot at the entrance we used. The parking lot will be recovered back into natural land. 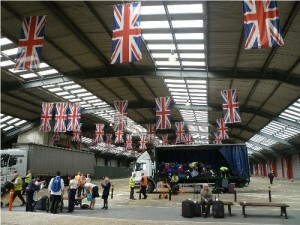 We stayed for one hour before getting back on the tour bus for the short trip down to Southhampton. Friday, August 16 Terminal QE II Southhampton looked like a very nice place to visit rather than just driving through to the cruise port. Next time I will stay here the day before. There was an ancient wall still standing in parts of the town. Guernsey was one of our favorite stops! From the dock, walk to the left for main street which has a tourist information office with WiFI. Make sure you try some of their cheese and ice cream. Stop by a local bakery for some treats. Nice little town that is hilly with cobblestone streets but walkable. 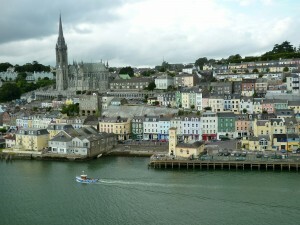 We loved the little village of Cork. 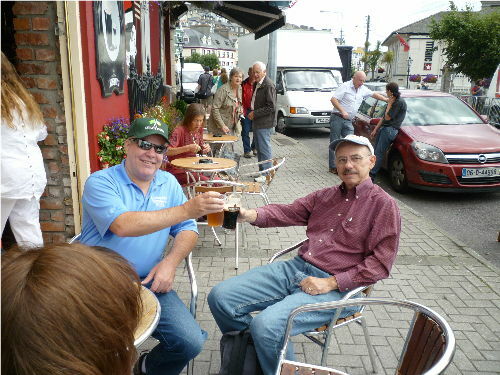 Visited some pubs, tried the Guinness, walked around town and up to the top of the hill to the Saint Colman’s Church. There was a festival going on in the middle of town. The whole town came out to the pier to wave goodbye as we sailed away. 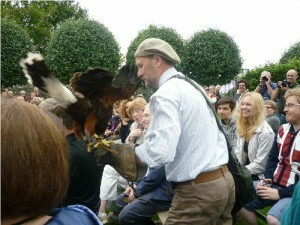 Excursions: We took the tour to Kinsale Village & Charles Fort which was enjoyable. Some on our ship took the train to Cork which is 24 Km away. Price for a round ticket for two was 15 Euros and took thirty minutes. Free Wifi on the train. 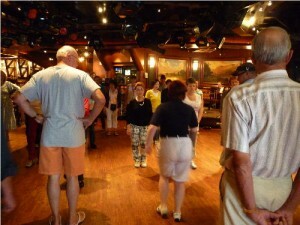 Back to the ship and saw a Local Group “Gaels Afloat” that did Irish Music and dancing. This is a presentation you do not want to miss, so check the schedule. Well another favorite stop. Do you see a pattern here? 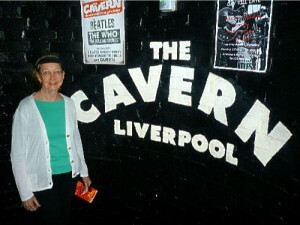 My wife is a huge Beatles fan and we had to go to The Cavern in Liverpool. She was in heaven. A great idea is to the Hop On Hop Off bus. It takes about an hour if you stay on or catch another bus every 15 minutes. We had lunch and a beer at “The Phil” John Lennon favorite pub. Liverpool is a beautiful City, clean and easy to get around in. City center was only five minutes from the ship. I think we may have liked this city best of all the cities on our trip. You will need to take an excursion to see the part of Liverpool where the Beatles came from. Comments: Glasgow is two hours from Greenock. A Princes bus for around trip from Greenock to Glasgow was $150 for two. Taking a train from Greenock to Glasgow was 13 pounds for two round trip. Take the train or an independant bus leaves from the pier also. 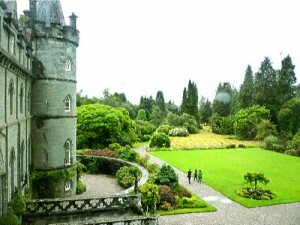 For our excursion we took a bus tour along beautiful Loch Lomond to the Inveraray Castle (pictured above) and then had lunch at the Inveraray hotel dining room then walked the quaint town of Inveraray Scotland. 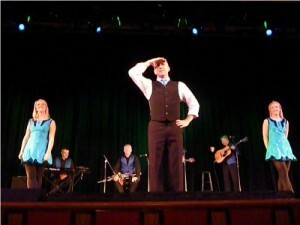 Back on the ship, a must see is the local talent Scottish Music Show so check the ships schedule for the time. City Center was one and one half miles from the ship. We saw the main attractions of the town, but would have enjoyed getting out into the country side. Take taxi to City Hall and walk around. Victoria Square is a big shopping mall. 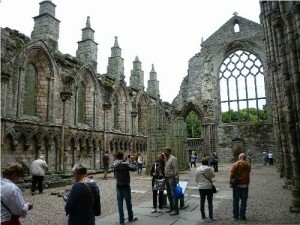 Recommend a Tour of the Palace of Holyroodhouse which is right down at the end of The Royal Mile. The Hop On Hop Off Bus tour is a good deal and way to get around and we enjoyed it. We were able to get a table in the small pub The World’s End at 4 High Street and shared a delicious fish sandwich and sipped on our pints of ale. 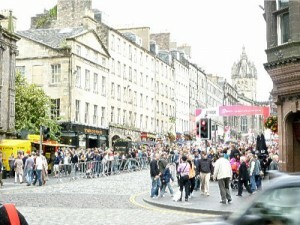 The Edinburgh Festival was going on and there were huge crowds which were a little overwhelming to us. Have afternoon tea at one of Edinburgh’s great bakeries. Drove along the shores of the Cromarty Firth, through the small town of Tain to Dornoch. 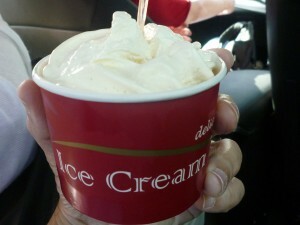 We’ll had time for a stop in Dornoch and then go on to Dunrobin Castle. 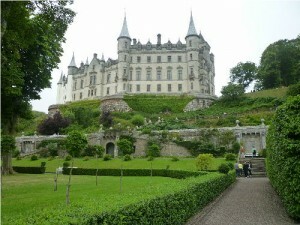 Visited of Dunrobin Castle, which was the niceest castle we saw on our trip, and also saw the great falconry show (not to be missed). 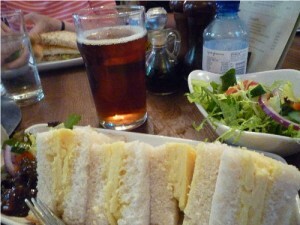 Had lunch for lunch at the castle tearoom. We then visited Rogie Falls, where we may be able to see salmon try to jump up the falls on their way to their birth places. August is a good time to witness this impressive natural event. 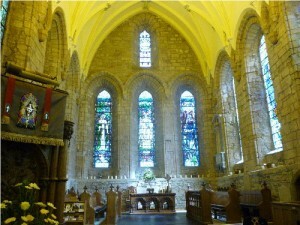 On the way back we stopped at Dingwall and along the Cromarty Firth to visit an impressive church and get some great Scottish ice cream in the village. We didn’t know if it would be worth it to take the tour over to Paris, but yes it was worth it! 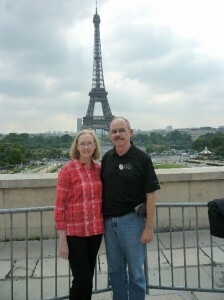 The tour was the Paris City Drive & Seine River Cruise. The 1.5 hour ride over to Paris did not seem long because of our great tour guide entertained us for about half of the trip and the rest we were eagerly looking to see what Paris looked like. We saw the Eiffel Tower on the skyline and the bus took us over for a short visit and photo op. Next we did a driving tour of Paris the again the tour director did a great job. 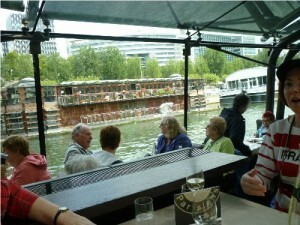 On to the amazing boat ride down the Seine River through the heart of Paris while enjoying lunch and wine of course. 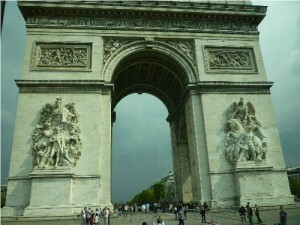 Then of course visiting the Arc de Triomphe. Wednesday, August 28th – In London we stayed at The Darlington Hyde Park hotel which was near Hyde Park off Sussex Gardens, a lovely area with many restaurants and pubs. We could easily walk to Hyde Park, Kensington Gardens and Paddington Station where you can take trains to anywhere in England or the express tube to Heathrow. We did the Hop On Hop Off bus tour but it was a little too much to do on the busy day. These take a long time and at the end we felt we were lucky to get back to our hotel after having to change buses three times. This could be nice, but not to be rushed. 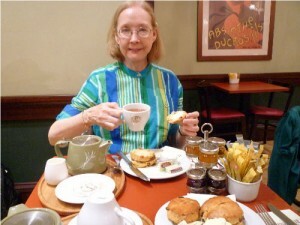 Thursday, August 29th – Very nice English Breakfast in our hotel. We met our friends and did a tour of Kensington Palace and the free cart shuttle actually gave us a free tour of Hyde Park including the playground where the Royal kids played. 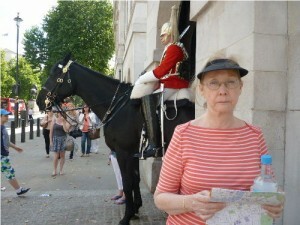 Friday, August 30th – Walked quite a bit sightseeing. Toured the Churchill Bunkers which was amazing. Tonight was special as we had great seats to see the musical “Billy Elliot ” at the historic Victoria Place Theater which we really enjoyed. Saturday, August 31th – Rather than taking the Paddington Station tube, we just took a taxi to Heathrow and that was a great idea. It didn’t cost anymore and we were picked up at our hotel for our early departure. Delta flight to Atlanta. Great Trip for your 40th wedding Anniversary. Based on your taken pictures it seems that , you’ve got a nice experience . The the place was cool , hope to have that kind of relationship and experience. More power! You are my new favorite tour guide! 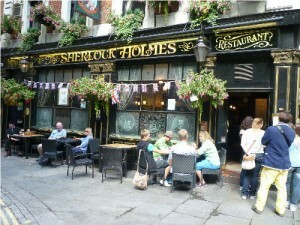 I am currently planning a trip to Britain for next fall, thanks for all the great information! 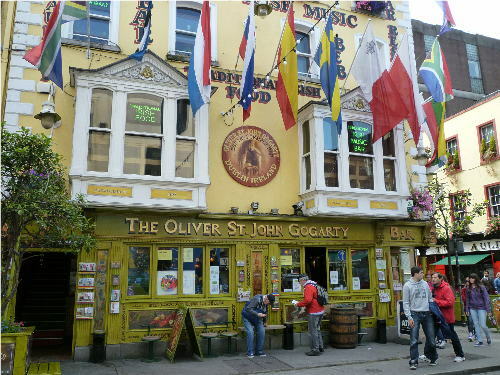 Thanks for the great, loved reading about the Ireland, nice photos. This looks like an incredible cruise! 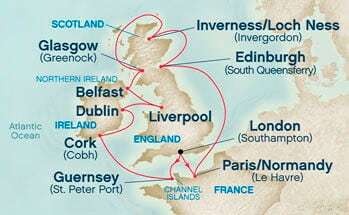 As much as I love the Caribbean, I think a cruise like this around the UK and Ireland would be amazing. Nothing like visiting places that are steeped with history that play heavily into the US’ own history. Thanks for sharing! Great review. In Europe we’ve only done a cruise in the Mediterranean (stops in Italy, Greece and Croatia). While we prefer the warm weather and beaches for our cruise, I could still imagine a UK cruise would be great. You would see some areas that aren’t traditionally visited when in the UK. Loved the review…..This is a nice way to see the British Isles without loads of driving! Hyde Park is one of the places I visit whenever I’m around London. It’s interesting culture and quiet surroundings makes me want to come back. Thanks for sharing this interesting post. London is a great place to visit and hyde park is nice as well!! What a nice holiday you guys had. I was also planning a cruise and now I’m sure I want to see the British Isles in the next summer. Thanks for sharing. Great Post, Liverpoool is such an amazing city, so much to do there. Thanks for sharing this has made want to book my first cruise. Hearty felicitations, I know it is very late , I hope that you had a great time .i am sure that this be a unforgettable journey for you and you choose a very right time (40th wedding anniversary) for such a wonderful trip,i am travel guide here in Vietnam and i have seen smiles on the faces of the people ,couples when they come across such memories in their live these long and small trips works as a love dose .I really admire you please keep posting. Edinburgh and Dublin, I think you take a shuttle to town. You can walk Edinburgh or do the hop on hop off bus. Dublin you can walk the pub district. Liverpool has a worderful hop on hop off bus, highly recommended. Great, many congrats on your 40th wedding Anniversary, pictures you shared very insightful touching. I think a cruise like this around Barrow Alaska would be amazing. Thanks for sharing!